During the relaxed and less hectic Summer months many radio stations featuring music experience a bump in ratings, however in the case of 105.3 WDAS FM the opposite is happening. There is really only one reason for this. In late March of this year, WRNB fired their entire on air staff and changed their format to "Old School" oldies music. The effects have been monumental on the ratings in Philadelphia. In March, WDAS FM ratings share was a 6.3. According to the latest Arbitron PPM ratings for the month of June 2013 for all listeners, they are at a 5.1 share. WRNB (Old School 100.3) has gone from a 2.7 to 3.5 in the same time period. The bottom line is WDAS has gone from the #3 rated station in Philadelphia to #7 in a matter of three months because the other station is playing music they use to play. It's been a long time since WDAS FM has been anything lower than the third rated radio station. Many years WDAS battled it out for first place with the All News station (KYW) in Philadelphia. A number of things have happened at WDAS FM over the last six months or so. 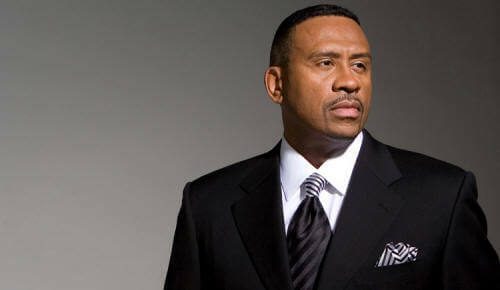 The station replaced The Michael Baisden show in January with local hosts. The station eventually hired former Mix 92.3 Detroit personality Frankie Darcell. Clear Channel Radio, owners of the station, replaced program director Ken Johnson with Derrick “DC” Corbett. Also a year ago legendary DJ, PD, and Operations Manager Joe "Butterball" Tamburro died. However none of those events have had much of an impact on the ratings of WDAS FM. The only impact has come from the format change of WRNB to Old School 100.3 in April. 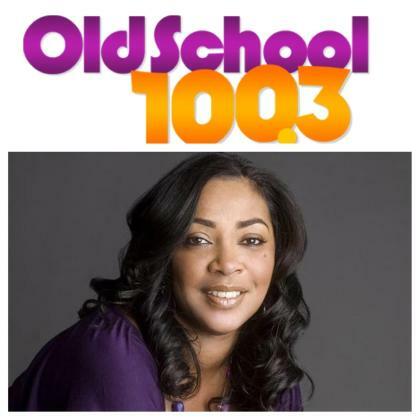 Old School 100.3 is basically playing the music that long time WDAS FM listeners grew up listening to morning, noon, and night. Other than the Tom Joyner Morning Show, the station has been simply a jukebox of R&B of the 70's and 80's with the occasional Old School Hip Hop song. The station only features two on-air personalities. Lady B was added last week to host afternoons and Sunday afternoons feature Dyana Williams. There are no other on air DJ's. 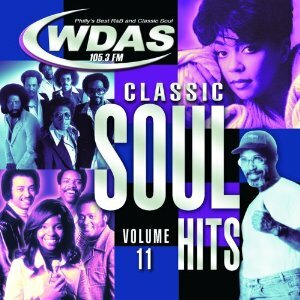 Meanwhile WDAS FM, known as "Philly's Best R&B and Classic Soul" continues with their same music programming but has emphasized to listeners than they have " a better mix of Old School." Some minor changes have included renaming their dated House/Club music Saturday evening program moniker to simply "The Hip Hop Dance Party." We've heard some "Biggie" as in The Notorious B.I.G. thrown into the mix as a listeners request on the Frankie Darcell weekday program, along with more classic Hip Hop thrown in the afternoon mix during the weekday. WDAS FM has not played anything close to resembling Hip Hop since the late 80' early 90's when Power 99 (WUSL) became the choice of younger adult listeners in Philadelphia. The station continues to play Oldies on Sunday night with Patty Jackson hosting "The Wide Wonderful World of Butter(ball)." Other than that not much has changed in the station's programming. Any major changes coming to WDAS FM? We're sure there will be if 'DAS drop out of the Top 10. Over the next couple of months we'll keep an eye on the impact of Old School 100.3 on the ratings. We know WDAS FM, WRNB and their corporate owners, Clear Channel and Radio One will. I believe it goes much deeper than listeners being "used to" the music of what is called the "old school" period. I think that the messages, the well wrought lyrics, the musicality and instrumentation as well as the "teachable moments"--be they matters of love or other social statements--is what the adult listener yearns to hear. The music of today is rife with platitudes instead of poetry, self indulgence instead of self awareness, add-water-and-stir "beats" as opposed to melodies and musical harmonics and quite frankly deals with "matters of the crotch" instead of matters of the heart. There is a gulf right now in what is deemed "soul music". While technology has made recording and music making much simpler and more available to the public in general, it also allows those whose talent for marketing is far greater than their talent for music making to force their way to the forefront. As a result...People are voting for what is REAL.